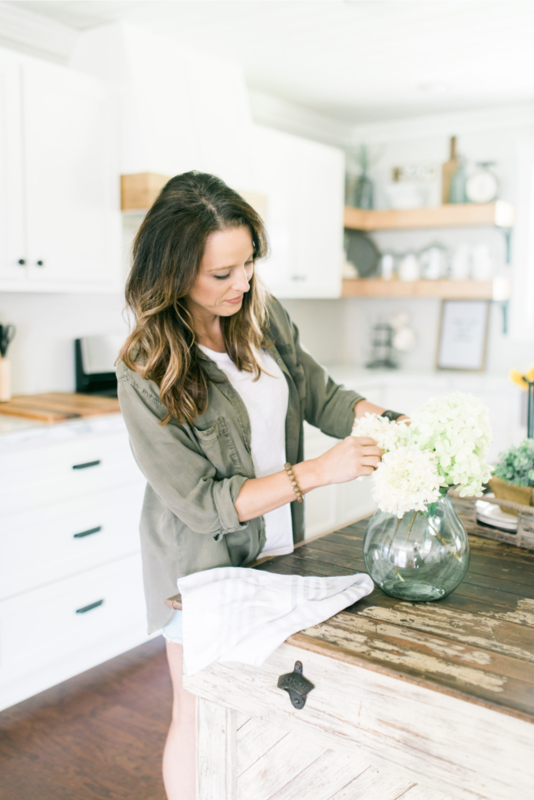 When we first bought our home over 4 years ago, we had gotten estimates to renovate our kitchen and we were discouraged to say the least when we found that the cost was waaaaaay out of our reach. So I'm sure just like many of you guys, we have a beautiful design in our heads, but for financial reasons or time constraints, we just cant quite get there...yet! So we decided to just live with it, ... For several years! We did however manage to at least paint over the hunter green and burgundy floral wall paper! Lol We tried to think of ways to cut down the cost, but cabinetry is so expensive, we needed more storage, our microwave was broken and hoped to replace it with a oven hood and we really wanted to add a pantry. The list seemed endless! "How could we get this done in our budget which was 1/3 the estimated price?!" I'll tell you how we did it! One night while sketching out what i hoped our kitchen to look like, an idea occurred to me?? 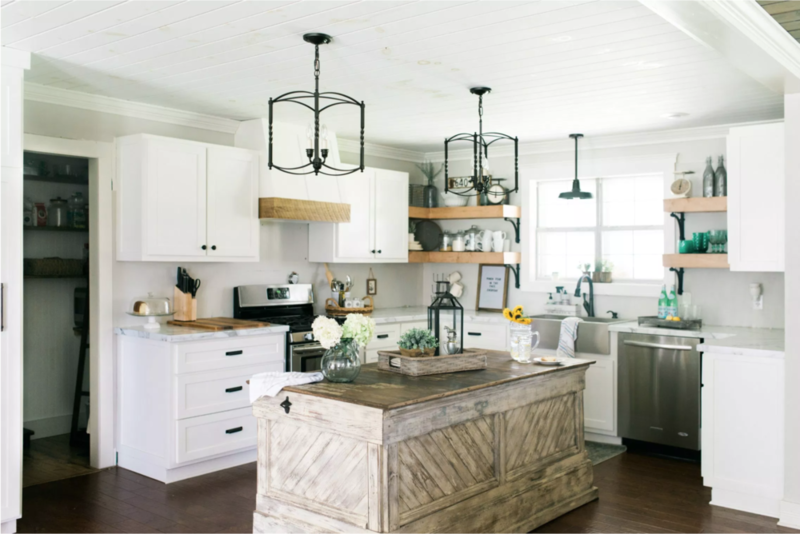 What if we worked with what we have, and could find someone to just make all new updated doors for the cabinets? But... would someone even be willing to do that?? So after brainstorming for a few days an pitching this idea to my husband I️ decided to start calling cabinet business to see if anyone was up for the job! Keep in mind, people work in different ways. We found a cabinet maker who was willing to work with our existing materials. That alone became a massive saver. 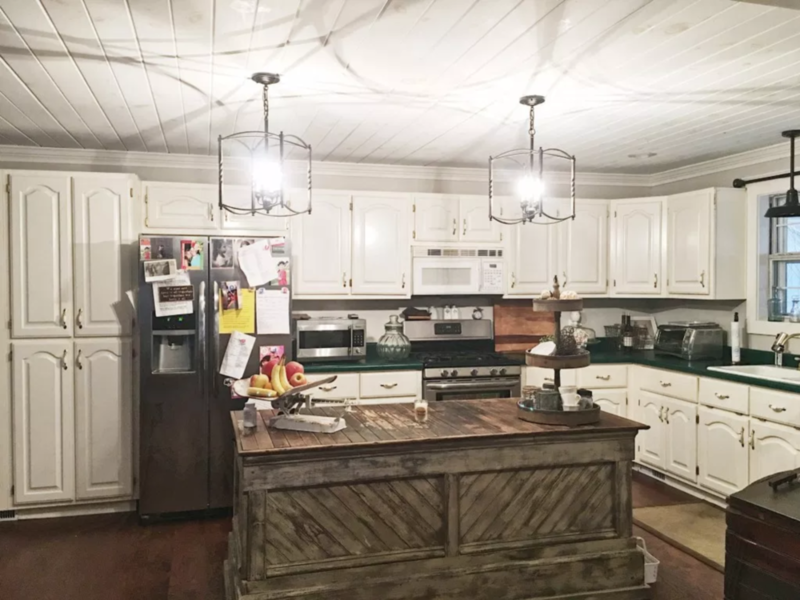 We didn't need all new cabinets, we just needed to rework what already existed in our kitchen. 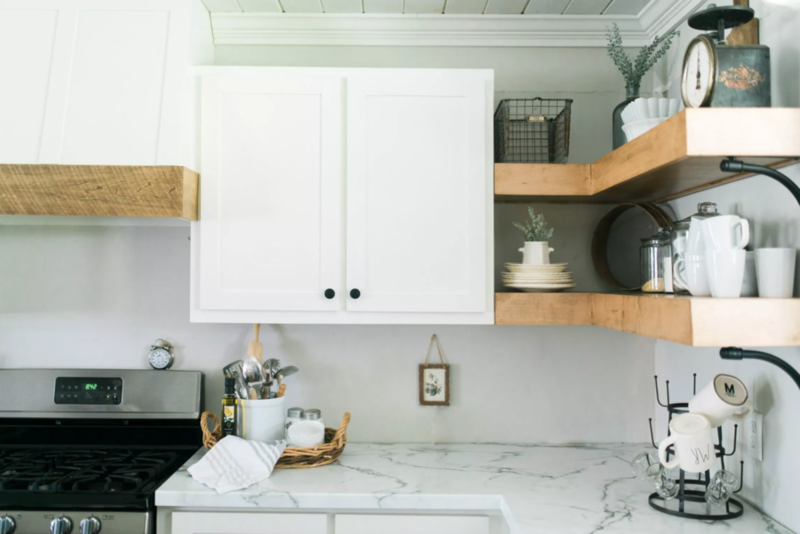 He was also willing to shave off inches of one of the cabinets, giving us more room between the island and the counter, and also allowing for this sliding side cabinet. Already more space and not an excessive amount of new materials! Make your own purchases on what you can. Substitutes are not a bad thing! We went from estimates over $10,000 to working, reworking it, studying, researching and purchasing things ourselves and pulled it off at around $3,000. Imagine where that money could go in the rest of your home! It is worth the time and effort, and by the end, you've accomplished something that you and your family will enjoy for years to come! 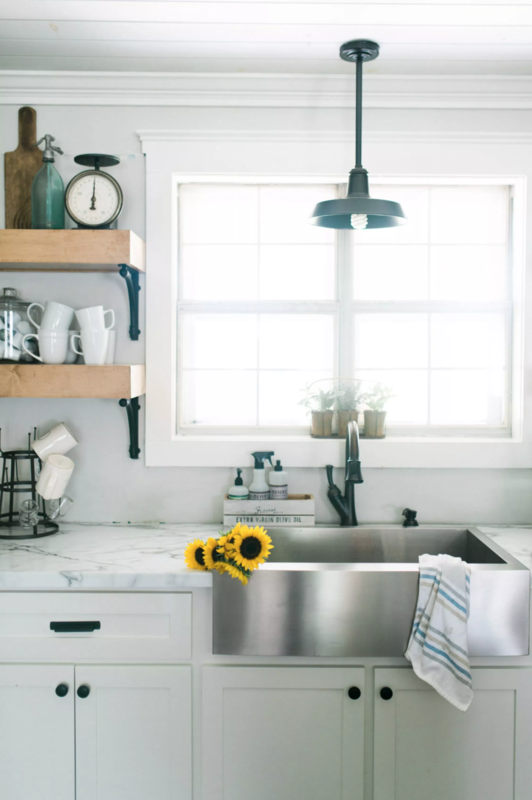 We'll be bringing you a look at the details of the kitchen; the little touches that make every house a home! Till then, have a lovely week and happy pickin'!